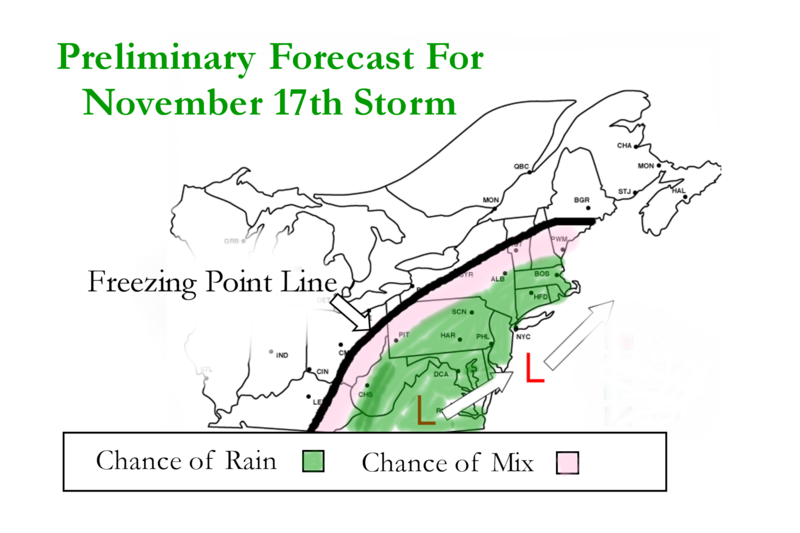 As it looks now from the latest computer models, the presumed “Nor Easter” that was expecting to arrive this coming Thursday will not be as much of a weather event as I had hoped. The two low pressure systems that were expected to phase (join together as one larger storm) before passing by our area are now looking as if they won’t join together until they pass north of the region. This would only give us cloudy skies and a few showers to accompany cool, raw temperatures. The rest of this week is looking to have highs in the 50s and lows in the mid to lower 30s. 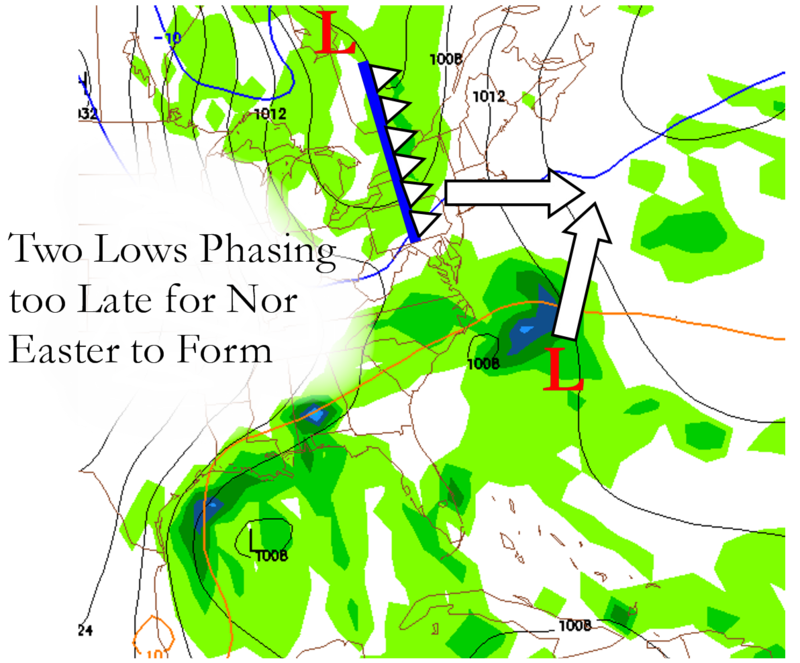 In the long-term, we are looking at a few storms that could give us some trouble later this weekend and into next week. If any other details or changes arise from the upcoming storm, I will make sure to post them here. Otherwise have a nice night!